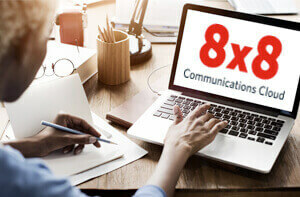 Cloud-based Business Phone Service Connects Law Firm Offices and Lawyers | 8x8, Inc.
McDonnell and Associates provides efficiency by incorporating technological advances into its business model. By implementing a cloud-based solution from 8x8, McDonnell united offices and remote workers across several states. McDonnell and Associates operates as a general practice firm, with headquarters in Columbia, South Carolina, and eight additional offices in Georgia, North Carolina and South Carolina. Their focus is on real estate law, auto accidents and personal injury law, business formation, criminal defense, domestic issues and family law, wills/estate planning/probate, general civil law, civil litigation, and creditor’s rights. Since its inception, real estate law has been a major strength for the practice. The firm’s 35 attorneys and 85 staff members all have experience with the closing process, including title work, title insurance, and settlement. McDonnell maintains a statewide network of title searchers and traveling attorneys so that it can complete real estate transactions anywhere in South Carolina. Initially, the firm had one main office in Columbia, which consisted of two buildings across the street from each other. An NEC key system provided business phone service, and tie lines united the two buildings. But by 2011, McDonnell had maxed out its key system. The firm’s mobile attorneys who work from home, or travel to complete real estate closings, were not supported. Provisioning new office workers took weeks, required on-site service calls, and incurred significant installation charges. The firm’s ongoing maintenance contract for the system was also costly. The search for a replacement business phone system was on. 8x8: The Most Robust Cloud Solution in the Industry! According to McDonnell CIO Paul Siskin, several factors differentiated 8x8 right from the start. McDonnell began rolling out the new 8x8 system to the firm’s Columbia offices and remote users. Full deployment took less than 30 days. With 8x8 successfully deployed at its headquarters, McDonnell began a planned expansion into several other states. As each new office opened, it joined the firm’s 8x8 telephony platform. Every employee has their own 8x8 extension, enabling easy extension dialing and call transfers. 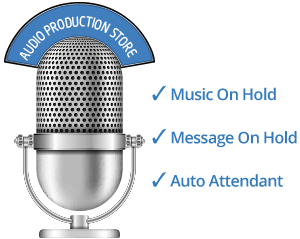 Each remote office has one main number answered by an auto attendant. A centralized corporate directory lets callers reach firm employees by dialing a name or extension. Siskin notes that 8x8’s cloud-based solution allows McDonnell to open new offices much more quickly than a more traditional business phone system would. At the same time, many McDonnell attorneys began working from home regularly, or dividing their work time between home and office. 8x8 keeps them connected to the firm no matter which location or device they choose. Traveling attorneys who work out of executive suites are also supported by 8x8. Siskin overnights them a phone to use, and they simply plug it in at the suite. This saves the firm from paying typically high per-minute phone costs while the attorney is using the suite and keeps the attorney connected to the rest of the firm on the same 8x8 telephony platform. Since implementing 8x8 cloud communications across the firm, Siskin has noticed a number of productivity improvements in the way McDonnell employees work. For example, 8x8 gives users a chat capability that allows them to contact coworkers while on a client call. Instead of putting the client on hold, users can multitask—saving time while on the phone. Siskin also points to 8x8’s “find me, follow me” feature, which allows attorneys to take important calls even when they are away from their desks. 8x8 meeting features such as conference bridges and web conferencing help McDonnell promote efficiency across its multi-state organization. Recently the firm selected a new provider for its healthcare plan. Rather than give the same presentation seven times in each of the firm’s offices, the HR department used 8x8 web conferencing and desktop sharing features to present the information at one firm-wide meeting. While McDonnell’s monthly fee for 8x8 cloud-based business phone service is certainly affordable, the firm’s most significant cost savings comes from the elimination of maintenance charges. For Siskin, this is one of the most important advantages of the 8x8 system. 8x8 has also streamlined the repair process for Siskin and his team, because the only equipment they have to maintain is the firm’s 8x8 phones. They keep a few in stock as spares, and simply swap them out when a user drops and breaks one.